Something about summer makes us want to eat all the fruit. If it’s a fruit, we’ll throw it in a salad, and it’ll be the perfect, healthy addition to a summer BBQ. With this in mind, we just discovered kiwi berries, and now we’re obsessed — and so is the rest of the internet. If you’ve heard of kiwi berries, you’re ahead of the rest of us. The tiny, adorable berries are basically mini kiwis, except they don’t taste exactly like the kiwis you’re used to. 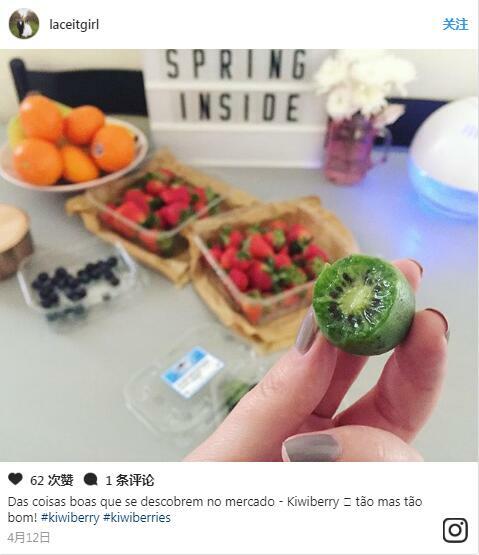 People who have eaten them say they taste similar to the grown-up kiwis, but they’re sweeter and more acidic. The reason most of the U.S. has never heard of kiwi berries is because they’re native to regions like Japan, Korea, Siberia, and Northern China. And until recently, no one in the U.S. had attempted to commercialize them. But now, they’re being grown in cold climates like Oregon and Pennsylvania, because they can survive very cold temperatures (that makes one of us). Everyone’s obsessed with their cuteness, but they also have health benefits. They’re jam-packed with antioxidants, fiber, vitamin C, and vitamin E.
Some might argue, the best part of kiwi berries is being able to pop them in your mouth like grapes. And the fact that they don’t have the fuzziness of their bigger counterparts. 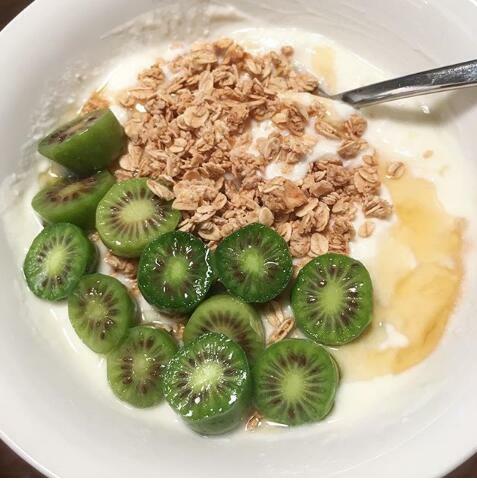 Add them to a fruit salad, a regular salad, use them as a garnish on a cocktail, or just eat them like you would a regular kiwi. Or do whatever you want with them — it’s your life. They aren’t available everywhere yet, but since they’re becoming more and more popular, chances are you’ll be able to buy them soon. Kiwi berries are in season during the winter and early spring, but they reach their peak in fall. Now we just need to find ourselves some kiwi berries.